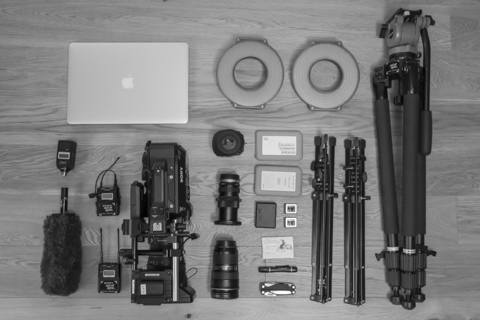 I thought I'd do a quick blog post on the kit I use for a lot of my work. As a self-shooting producer/director, a large amount of my work is run-and-gun, documentary style film making. Often, I will be shooting solo and responsible for ensuring that the lights, sound, camera and direction is of top-notch quality. I have to be ready to shoot in next to no time. Because of that, I tend to use my compact kit a lot. This fits into one or two bags that I can carry on my own, throw in my Mini Cooper, take on the train and fly around the world with. Core to my setup is my Sony FS7 camera. 4K out of the box, 14 stops of exposure latitude and up to 180fps. 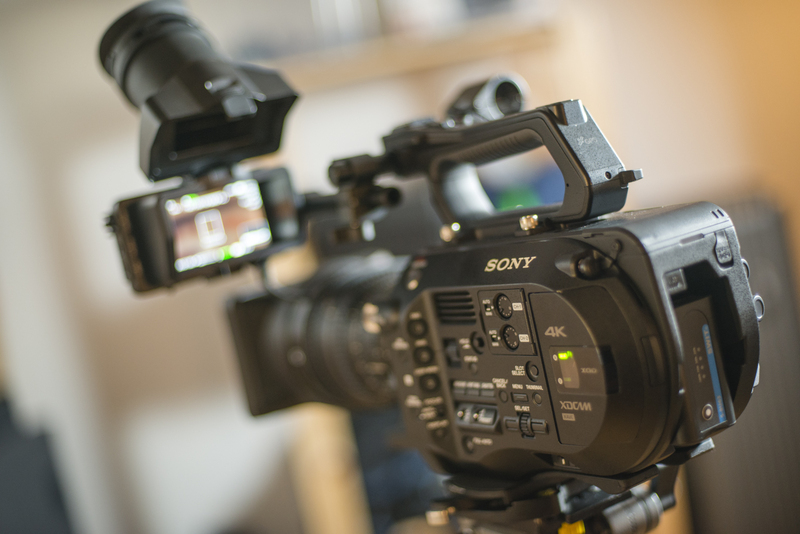 This camera allows me to shoot in a cinematic style, I can deliver my rushes as broadcast quality B-Roll and I can quickly flick between frame rates when I'm filming content that could benefit from a bit of slow-motion. A handy addition for the FS7. 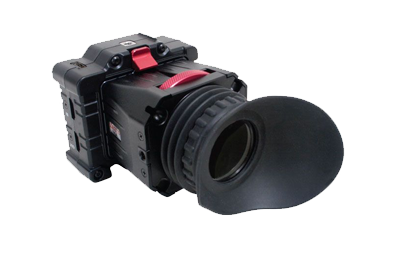 It also frees up the standard Sony EVF to be used as a camera mounted preview screen. To improve the functionality of this camera, I like to use a rod system. This allows me to mount a left handle as well as rig ring lights, matte boxes and follow focuses if required. One of the best finds for the FS7 is Smallrig's rigging. Their low profile base plate is so small you hardly notice it's there. They've a great selection of additions for the FS7 all at bargain prices compared to the Zacuto, Vocas and Wooden Camera alternatives. XQD cards can be expensive. I do run one of Sony's 128GB 400MB/s cards but they are quite dear. In comparison, I own a couple of Lexar's 64GB 210MB/s cards. Officially, they're not supported by the FS7 (according to Lexar) but in reality, they're pretty damn fine. I've spent days shooting 150fps and 4K XAVC-I and I've not run into any problems so far. The Lexar XQD card reader is a must when working with XQD cards. Sony's one comes free with their cards and is pretty damn unreliable. On countless occasions I've accidentally knocked it during a DIT and had to start again. Whilst I love buying glass, in reality I don't have a huge amount of time to use much of it when I'm shooting run-and-gun style. Because of that, I'm only listing the lenses I tend to use when going compact. Key to my run-and-gun work is Sony's 28-135 F4 lens. 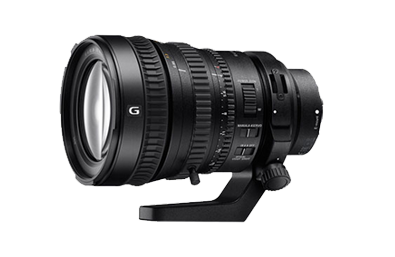 Whilst not hugely fast or wide, this is a great lens to keep on the camera for those grab and shoot moments. Next up is the Metabones Speedbooster with Nikon 24-70mm f2.8 (via Nikon G to EF adapter). Superb Nikon optics, with a completely manual iris control, this does take a little getting use to but in my opinion, is easier to use on the Metabones adapter on the FS7 than Canon's 24-70mm lens with electronic iris. My final run-and-gun lens, is a cine-modded vintage Olympus OM 70-150mm F4 (via OM to EF adapter) lens from Shoot Vintage. 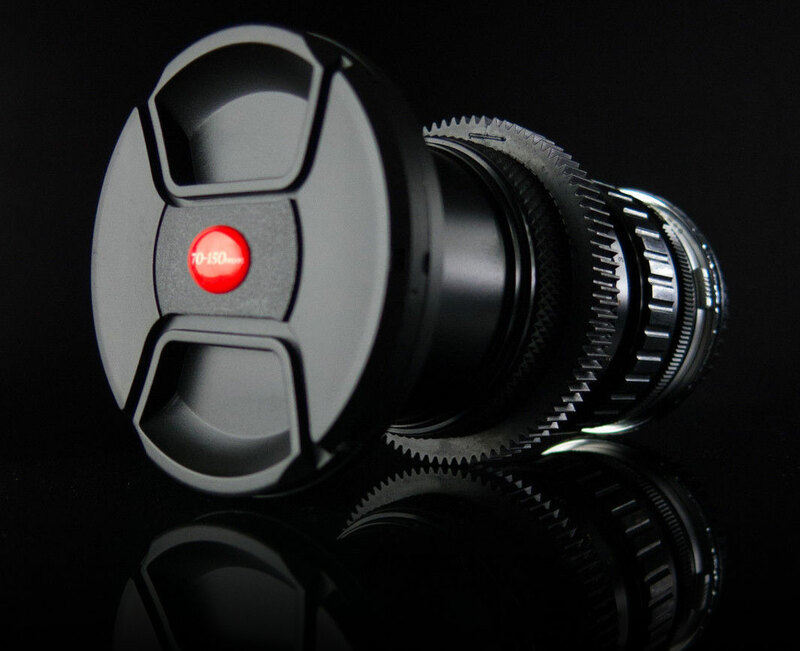 This is a fantastic bang-for-buck lens which produces awesome results with excellent character. I've some excellent Zeiss lenses that's had the cine-mod treatment from Shoot Vintage and they are incredible value for money. Sony's UWP microphone setup has until now been fairly overlooked I think. Whilst Sennheiser's G3's are great, in my opinion, Sony's UWP is much more feature rich and possibly better sounding (well against the G3 microphone I tested it against - although other people online will say differently). 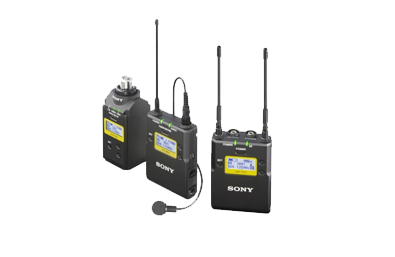 The Sony UWP receiver has a wireless hotshoe interface with the FS7 so additional XLR's and minijacks are a thing of the past. The other great thing about that, is that the receiver is self-powering from the camera which is another battery I can forget about. I also use Pinknoise Systems universal vampire clip so that I can hide the lavalier mic under clothing with as little fuss as possible. The fit is a little tight but it works. 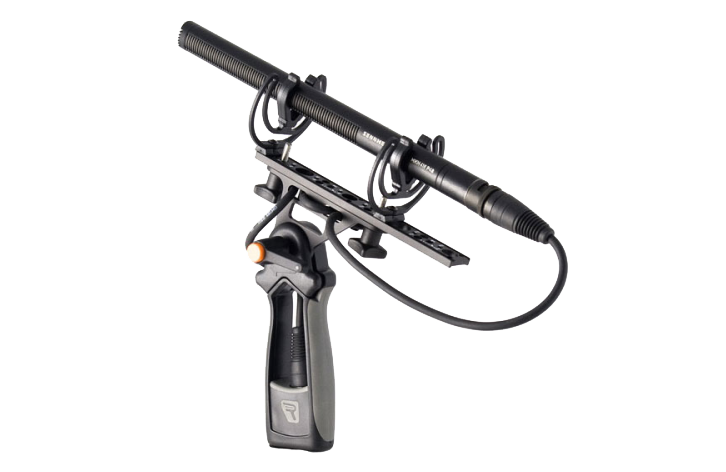 I also always have a trusty Sennheiser MK416 shot-gun mic on hand with XLR cable. Should I hit any issues, or end up having to interview 2 rather 1 subjects, I've always something to fall back on. Also makes a cracking camera top ambient mic. To complete this setup, when working with other directors or camera operator, I can chuck an XLR transmitter onto it and use it as a wireless reporters mic for voxpop style interviews. 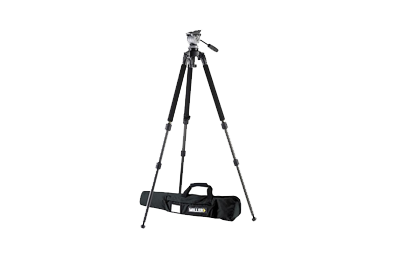 My main tripod for this style of one-man band style work is a Miller DS10 with Solo DV legs. Extremely lightweight, I can easily sling this over my shoulder and walk for miles with it. Not the stability of a Sachtler, and you certainly notice the vibrations when using an unstablised 200mm lens, but for the everyday stuff it works just fine. Obviously lighting is hugely important and often quite bulky. That was until the F&V R300 ring lights came along. I love these lamps because they're so lightweight, relatively small and so easy to carry around. The quality of the light is great for what they are. The ring shape spreads the LEDs across a great surface for a softer light. Runs off cheap NP batteries. 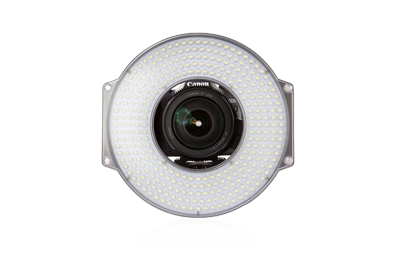 These combined with some Manfrotto Nano stands make up the perfect lightweight 3-point lighting system. Amazing bang-for-buck case. I can fit the FS7, a load of lenses, 3 Manfrotto Nano stands, a shed load of batteries and sound kit inside. I've never been a massive fan of Calumet's own brand stuff, but for the price, this really is a killer rolling bag. Pretty useful general purpose rucksack. I tend to chuck my lightweight LED lamps in here with my laptop, cables and hard drives. Finally, a couple of general bits of kit that I like to have on me for all my jobs. I've had this laptop for 2 years now and every time I pick this up, I still can't believe how bloody light it is! Always an essential bit of kit to have on a job. I also religiously use ShotPutPro5 to DIT my cards. This is the ONLY way you know that what's on your hard drives, is what was on the cards. I've a load of these and they are absolutely brilliant for working on the go. I love the speed of the SSDs and I've had 100% reliability on all of my models which I never used to find with LaCie drives. After a decade of putting off buying one, I can't believe I made do without. I tend to use this on every single shoot these days for one reason or another. When there isn't a makeup artist on hand, these are a handy standby to lessen shine coming off of talents' faces. A couple of these tend to do the trick. Not as good as powder but much less of a faff! In summary, it's unlikely that I'll match what can be achieved with a truck load of lighting, director of photography, sound recordists and grip. For me, it's much easier and convenient when I have these resources available. In reality, I'm often working to tight budgets where we don't have that luxury. I need to have a kit nailed down that I can carry around and operate solo and because of that, that's when this setup really comes in use. Are there any essential bits of kit I'm missing off of this list? If so hit me up in the comments section and let me know!